For the last 30 years or so various previously unheard of manufacturers have popped up with increasing frequency promising to offer flying cars for the average person. And all have been epic failures. Well, except perhaps for the Terrafugia Transition. 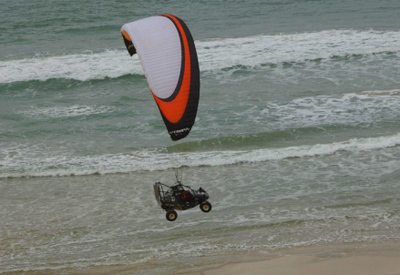 The SkyCar from UK manufacturer ParaJet is a distinctly low-tech solution to the problem. But unlike other 'flying cars' which promise so much but deliver so little, the SkyCar can back up its claims thanks to a series of successful test flights and demanding ground tests. The SkyCars basic layout is different to most other flying cars in that the design is a car first and an aircraft second. 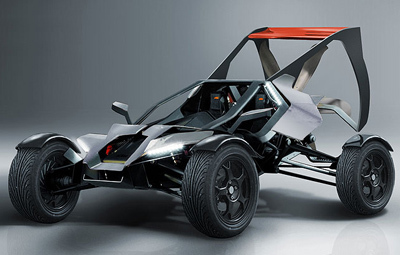 Most other manufacturers have tried to adapt an aircraft for use on the road, whereas ParaJet modified a car for flight. 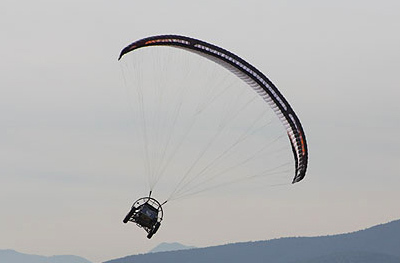 The SkyCar's wing consists of a ram-air style parachute which works by funneling air in through the front to inflate the wing and provide lift. The vehicle requires less than 200 metres for takeoff and can be operated from a wide variety of locations due to the rugged mechanicals of the vehicle. The SkyCar is easier and safer to fly than any other aircraft, as it has no pitch control and therefore it is impossible to stall or dive. Should the engine fail, the pilot can simply glide down into the nearest open space. In the unlikely event of complete wing failure, car connection system failure or midair collision, an emergency ballistic reserve parachute can be deployed to bring the vehicle safely to the ground. The performance of the ParaJet Skycar on the ground would easily embarrass most regular cars. Powered by a 140 horsepower Yamaha R1 motorcycle engine the SkyCar can rocket to 60 mph in just 4.2 seconds, and reach a top speed of 140 mph. 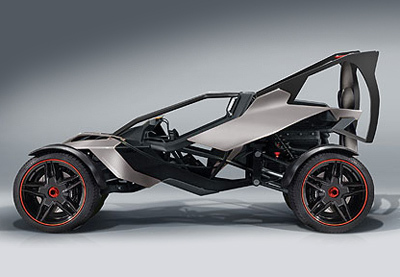 And thanks to the rugged chassis and wheel combination it can easily handle a bit of off-roading. 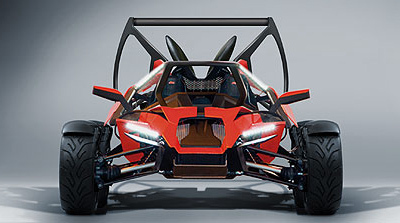 ParaJet have also taken the time to give the SkyCar a stylish design and bodywork. The end result is that this isn't the sort of vehicle people would do their daily commute in, but for those looking for the ultimate adventure travel machine look no further.